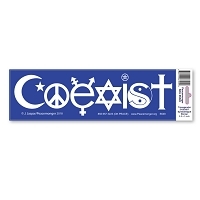 This sticker combines art with attitude. 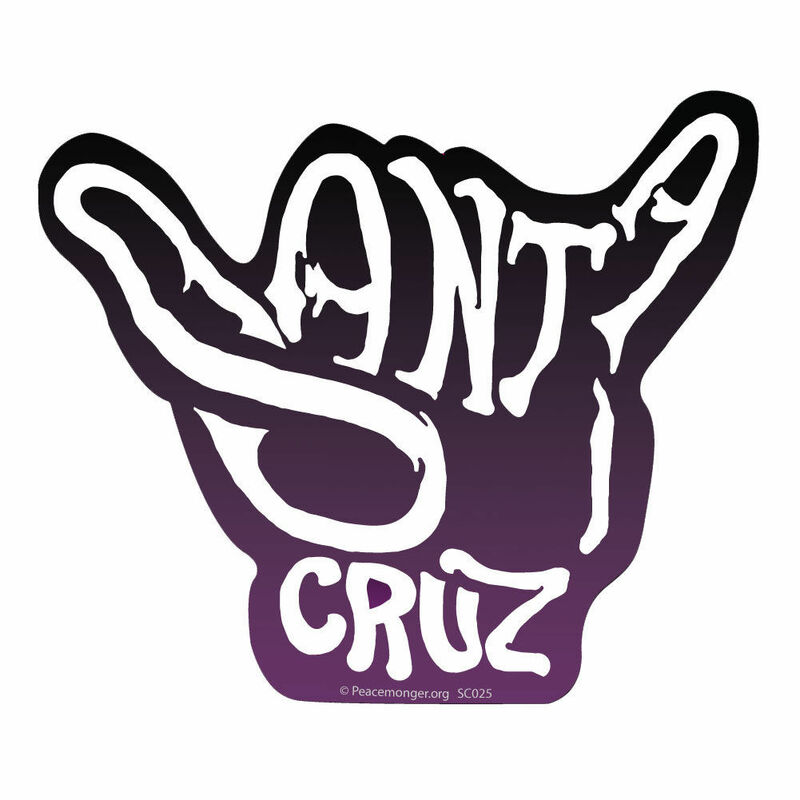 The shaka sign, sometimes known as "hang loose," is a gesture of friendly intent often associated with Hawaii and surf culture. 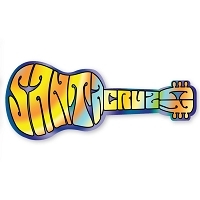 Santa Cruz offers a Shaka vibration! 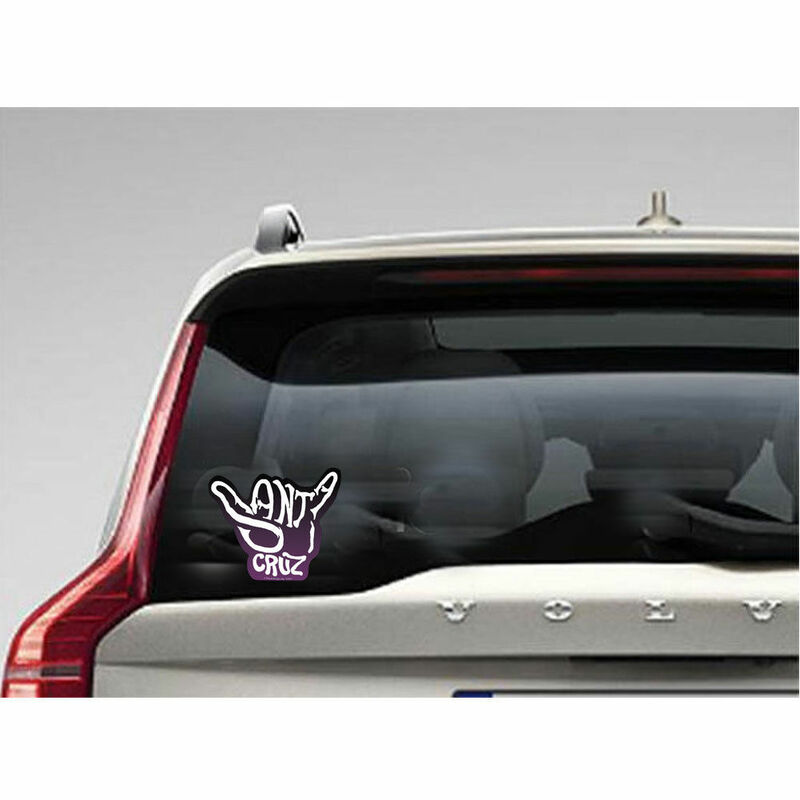 White lettering is cleverly created within the fingers of the Shaka symbol. 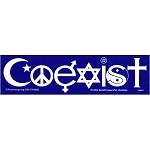 This Peacemonger original design is created to look like a vinyl cut-out sticker with a dark gradient background that disappears when placed on a dark tinted window.